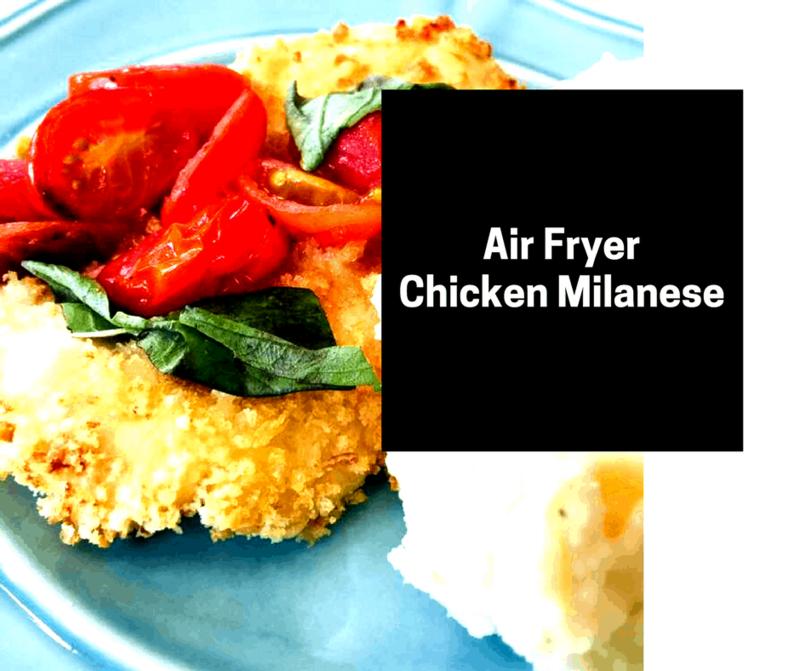 The chicken has a nice roasted flavor, without all of the added fat. Mix the cheese and panko together. 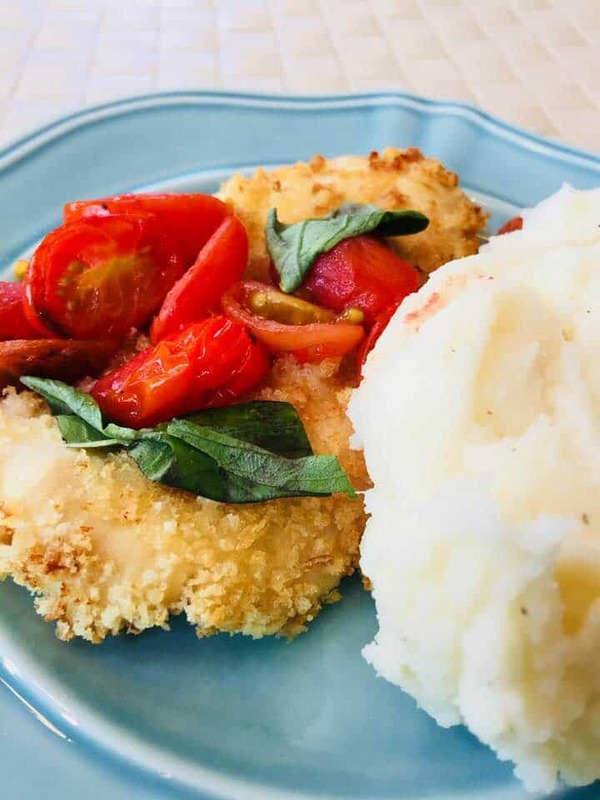 Dip your chicken into the panko mixture, for the coating. 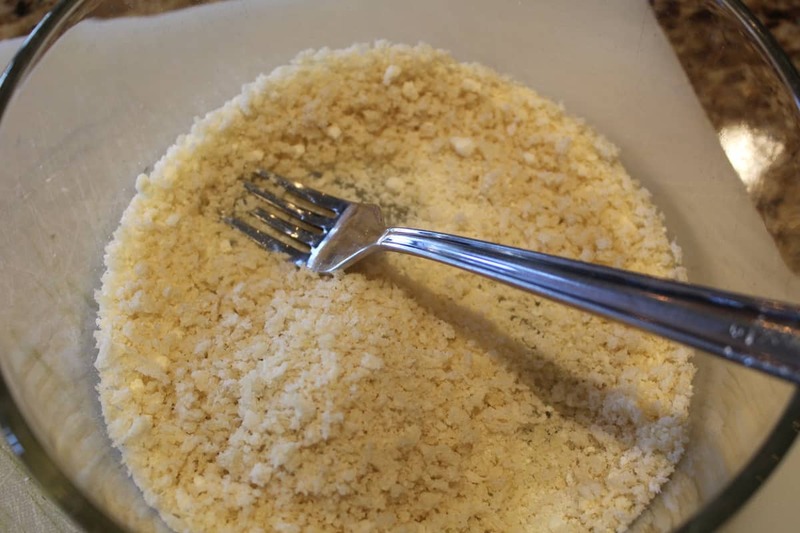 Start by mixing the panko and cheese together, in a small bowl. 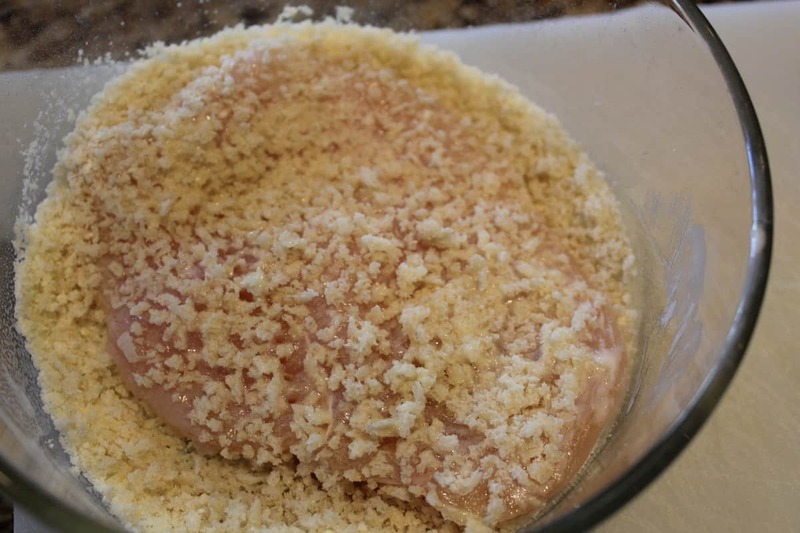 Then spray your chicken with non-stick cooking spray and then dip it into the panko/cheese mixture. 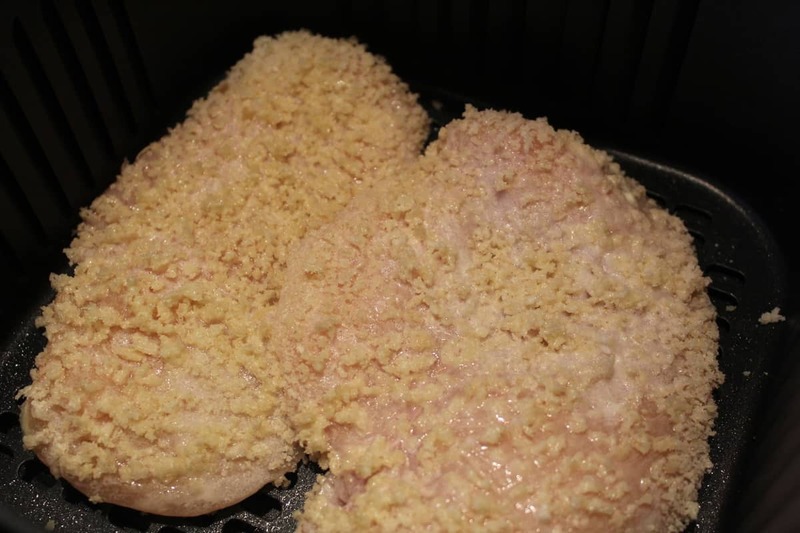 Then coat the chicken coated with panko crumbs with nonstick cooking spray. 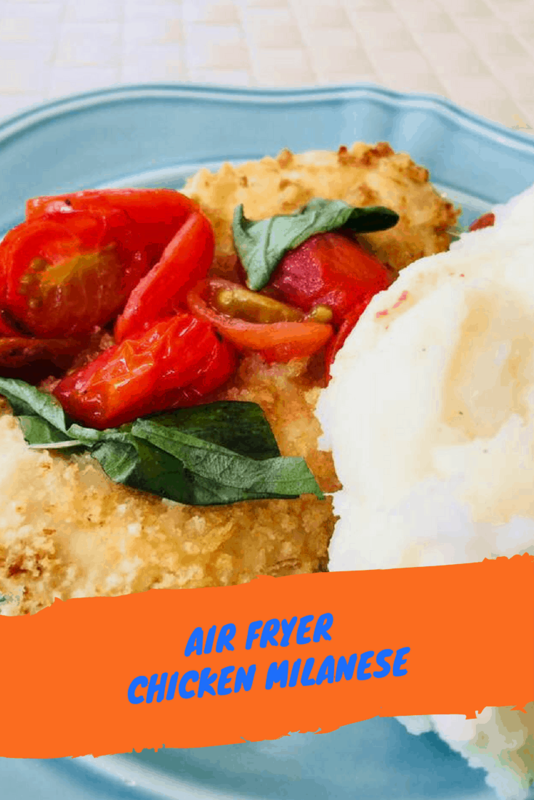 Place in your Air-fryer tray. 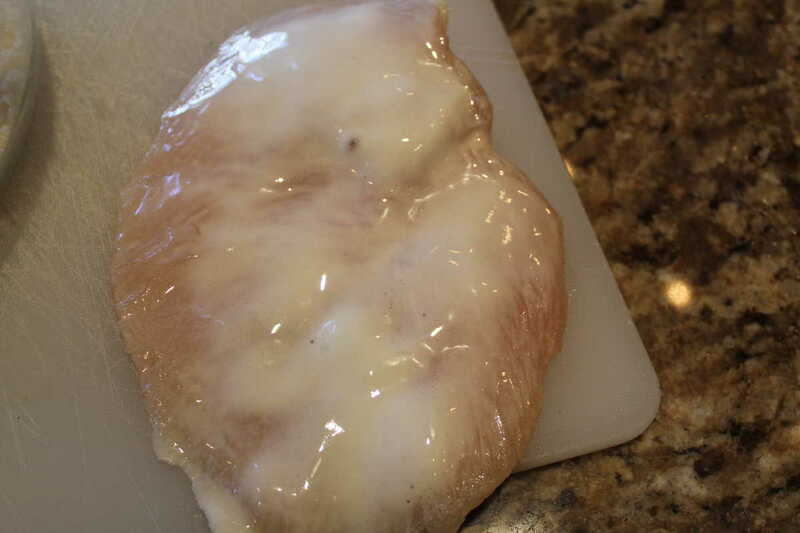 Check and make sure your chicken is done. 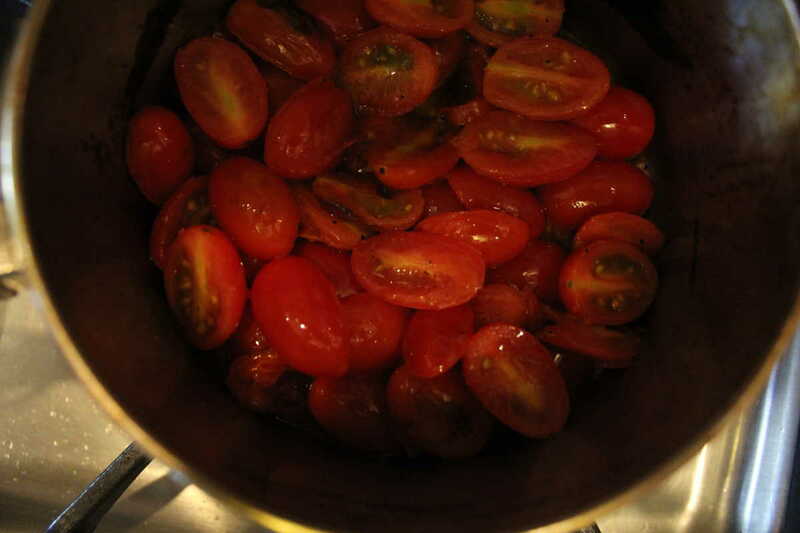 In a small saucepan combine the oil, heat until hot, then stir in the tomatoes, shallow, salt, and pepper, mix well. 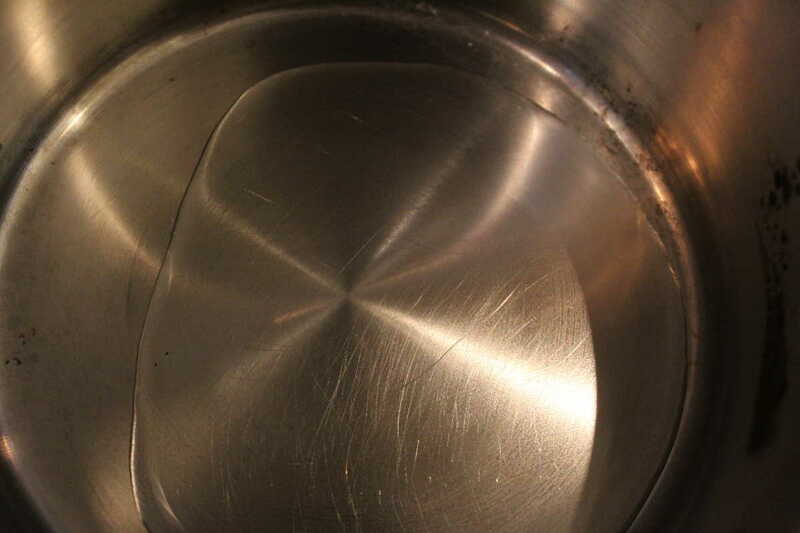 Cook for about 5 minutes, or until your shallots are soft, then add the wine, heat that up (only about 30 seconds). 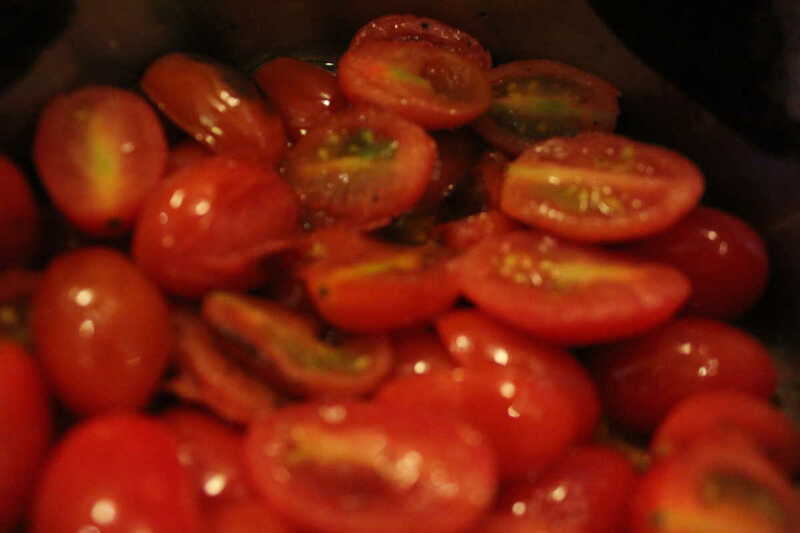 Remove from heat and stir in the fresh basil. Then spoon the sauce over the chicken. « 30% Off Bullet Journal Supplies-TODAY ONLY!